Hello again! How has everybody been doing? As I’m sure other Moms and Dads can relate, when your young ones flee the nest, you need a hobby! A way I have been keeping myself occupied is learning a ton of new recipes. 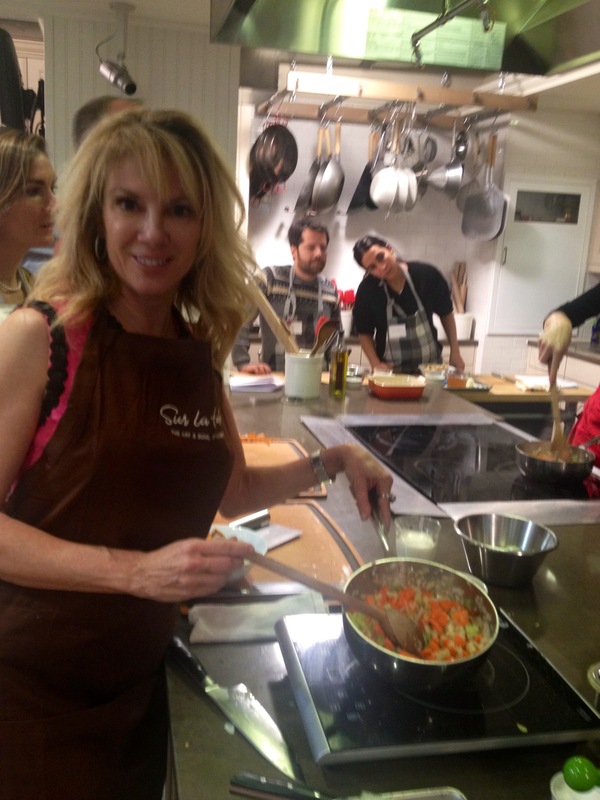 I have always loved cooking but since taking classes at Sur La Table, I just can’t stop! I find myself inviting my friends over for dinner at my home way more than going out these days just so I can have another excuse to try a new recipe. 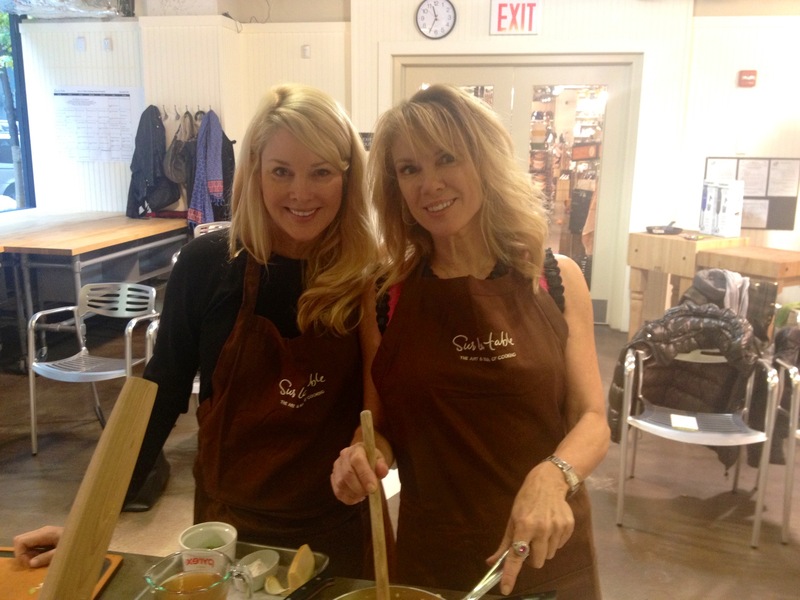 Two weekends ago, Avery visited home and I wanted to show off some of my new culinary skills! Below are photos of the classes I’ve been taking with the wonderful Joel Gamoran as well as my two favorite dishes so far! We started with some vegetable pot pie cooked with peas, sweet potatoes, carrots and onions. 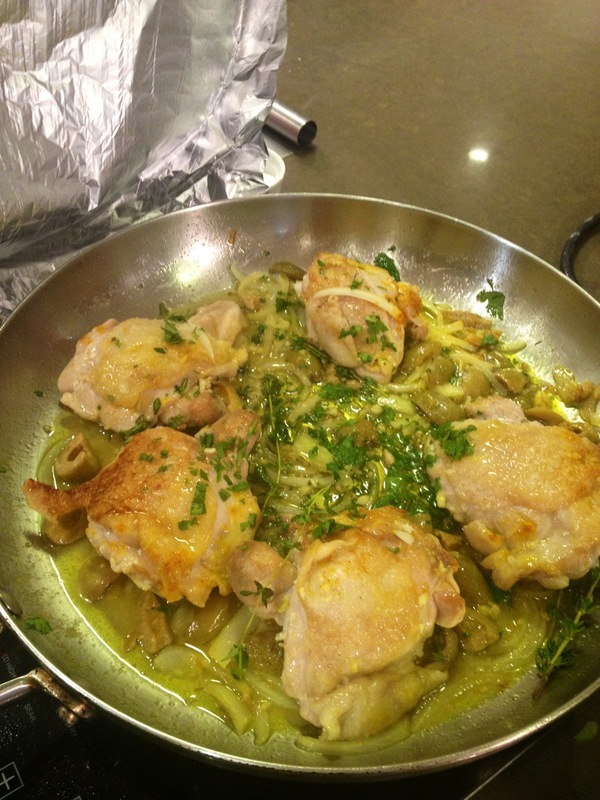 Then we moved on to the delicious dish, Chicken, Olive and Lemon Tangine. 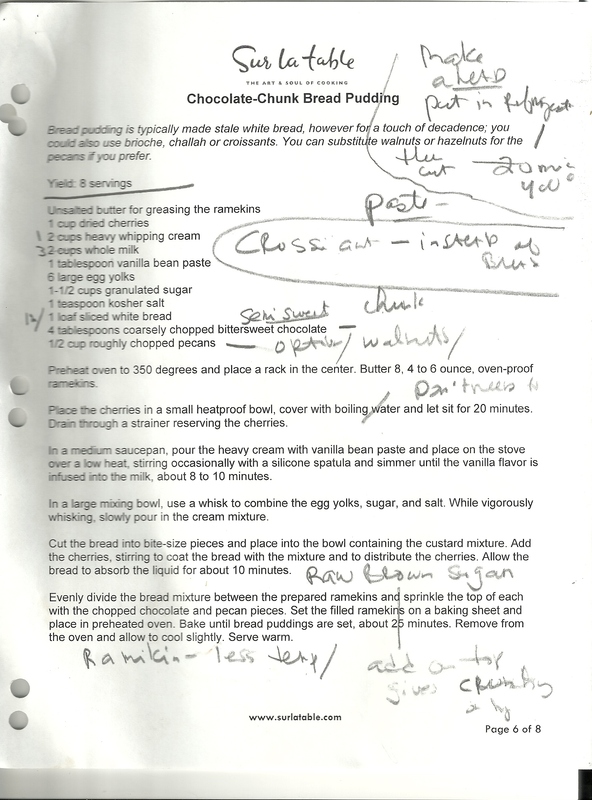 Click on the image below for the full recipe. Cooked with lemons, cilantro and olive oil, it is a great Morrocan style to spice up your normal chicken dinners. One of my favorite dishes I’ve learned so far has to be the decadent chocolate-chunk bread pudding. We all need to treat ourselves every once in awhile!! Please let me know if you decide to try any of these recipes and how they turn out!